Todd Kingsbury | Far Post Soccer Club, Inc.
Club Director. U10 Director of Coaching. Todd grew up in Vermont and grew up playing here. He graduated from Harwood Union High School in 1986 and the University of Vermont in 1990. After a two-year stint working in Belgium after college, he returned to Vermont where he worked for nearly ten years for a non-profit in Waitsfield that did development programs for professional from the former Soviet Union. During this time, he also spent considerable time coaching at the high school level and for the Vermont Olympic Development Program. He became Executive Director of Far Post Soccer Club in September 2001 and has been involved with training and coaching all players in the club during this time. Todd has a deep commitment to developing young soccer players. 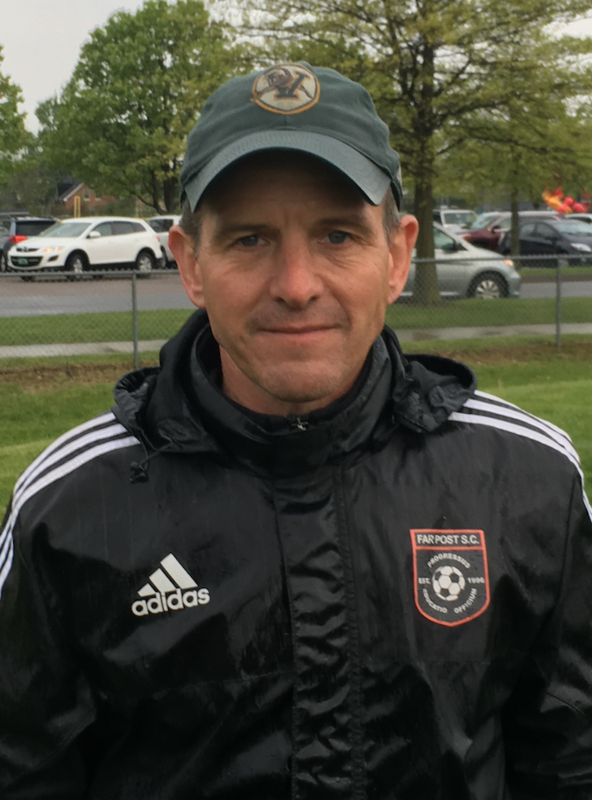 Todd works with all age groups in the club but is specifically responsible for the Far Post Juniors (U6s), the Far Post U8 Program, the Far Post U10 Program and all educational programs and camps. Todd lives in Shelburne with his wife (Lisa) and two daughters (Skyler and Reese). While he spends much of his time on the soccer fields with players and coaches, he actually enjoys many other sports. For many years, he was a competitive cross-country ski racer competing in many ski marathons throughout New England and in Canada. He also was a competitive marathon and ultra-marathon runner for over ten years. He also enjoys kayaking, golf and whatever sports/activities his daughters are involved in. Todd has been involved in every aspect of soccer in Vermont from being on the Vermont Soccer League board for a number of years to running the Vermont Amateur Soccer League for numerous years. © Far Post Soccer Club. All rights reserved.